You know this thing about Odd Squad Games? Our site is going to present you the newest games category inspired from a PBS Kids series, which is going to bring you exciting and interesting games with your heroes, which is going to bring you every week nice surprises. This Odd Squad Games category I think is going to be on your taste especially if you like to try new challenges every day with your heroes from PBS Kids series. In Odd Squad Games you can find 14 games that we've published for these kids and childrens that are interested to play Odd Squad Games, this game gategory have been created on 22.01.2017. These games with Odd Squad Games have been voted 1 times and the avarage of vote is 5.00 stars. We advice you to play the last flash game from Odd Squad Games, Odd Invasion that have been published on 10.04.2017 18:04. 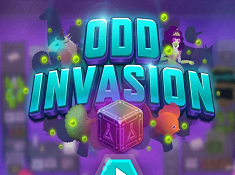 Odd Invasion its a part of Odd Squad Games category and until now its played 845 times. Try it now on Cute-Games.com! 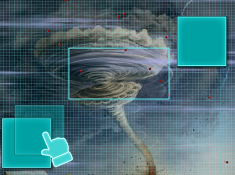 If your like the Odd Invasion game you can write a comment in the game page. Recommend this game to your friends if you like it! 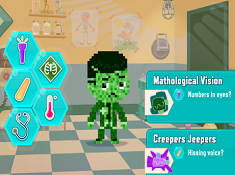 Agent Check-Up its a part of Odd Squad Games category and until now its played 2091 times. Try it now on Cute-Games.com! If your like the Agent Check-Up game you can write a comment in the game page. Recommend this game to your friends if you like it! 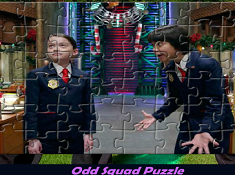 Otto and Olive Puzzle its a part of Odd Squad Games category and until now its played 683 times. Try it now on Cute-Games.com! If your like the Otto and Olive Puzzle game you can write a comment in the game page. Recommend this game to your friends if you like it! Odd Squad Memory Cards its a part of Odd Squad Games category and until now its played 701 times. Try it now on Cute-Games.com! If your like the Odd Squad Memory Cards game you can write a comment in the game page. Recommend this game to your friends if you like it! 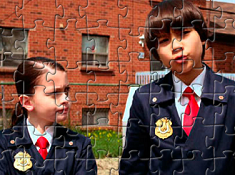 Odd Squad Jigsaw its a part of Odd Squad Games category and until now its played 612 times. Try it now on Cute-Games.com! If your like the Odd Squad Jigsaw game you can write a comment in the game page. Recommend this game to your friends if you like it! Odd Squad Creature Duty its a part of Odd Squad Games category and until now its played 784 times. Try it now on Cute-Games.com! 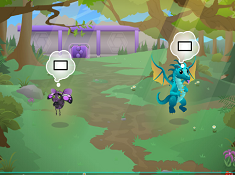 If your like the Odd Squad Creature Duty game you can write a comment in the game page. Recommend this game to your friends if you like it! Code Breaker its a part of Odd Squad Games category and until now its played 884 times. Try it now on Cute-Games.com! If your like the Code Breaker game you can write a comment in the game page. Recommend this game to your friends if you like it! Catch the Centigurps its a part of Odd Squad Games category and until now its played 699 times. Try it now on Cute-Games.com! If your like the Catch the Centigurps game you can write a comment in the game page. Recommend this game to your friends if you like it! Odd Squad Puzzle its a part of Odd Squad Games category and until now its played 691 times. Try it now on Cute-Games.com! If your like the Odd Squad Puzzle game you can write a comment in the game page. Recommend this game to your friends if you like it! Pienado its a part of Odd Squad Games category and until now its played 715 times. Try it now on Cute-Games.com! If your like the Pienado game you can write a comment in the game page. Recommend this game to your friends if you like it! Odd Squad Memory its a part of Odd Squad Games category and until now its played 657 times. Try it now on Cute-Games.com! 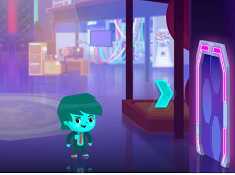 If your like the Odd Squad Memory game you can write a comment in the game page. Recommend this game to your friends if you like it! Odd Squad Sliding Puzzle its a part of Odd Squad Games category and until now its played 686 times. Try it now on Cute-Games.com! If your like the Odd Squad Sliding Puzzle game you can write a comment in the game page. Recommend this game to your friends if you like it! Odd Squad Cases its a part of Odd Squad Games category and until now its played 1088 times. Try it now on Cute-Games.com! If your like the Odd Squad Cases game you can write a comment in the game page. Recommend this game to your friends if you like it! Odd Squad Down the Tubes its a part of Odd Squad Games category and until now its played 1011 times. Try it now on Cute-Games.com! 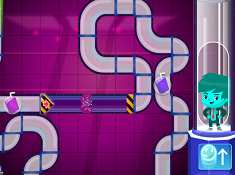 If your like the Odd Squad Down the Tubes game you can write a comment in the game page. Recommend this game to your friends if you like it! Find More About Odd Squad Games! Odd Squad Games category is going to surprise you because here you cna find for the first time games with your heroes from PBS Kids, from the series Odd Squad. Odd Squad games category is going to bring you all kind of games so you have to be ready for anything. We have a lot of challenges for you so do your best to complete your goal in every level and try to get a big score. In this Odd Squad games category the points have an important role because they can take you on the podium where are only the best players in the world. To have the chance to reach the podium you have to work a lot and you need persistence. For example if you complete a game but you do not have enough points to enter in the top of the best players in the world you do not have to give up. I suggest you to try again to play this game and in this way you can focus more this time and I am sure you can get more points. In this exciting games with Odd Squad you have to face your fears, to prove that you are worthy to reach the podium. 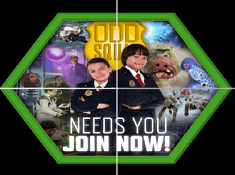 Give us a like if you enjoyed spending time on our site in Odd Squad games category and in this way you will help us promote the category for all the kids who love the series. In this exciting Odd Squad games category we have for you all kids of games, for girls and boys so it is impossible for you not to find something you like, something to keep you busy for a few minutes. You can tell us in a comment which is your favorite game from Odd Squad games category and if you entered in the top of the best players in one game. I am sure the majority heard about this exciting and funny series but if you do not I will tell you some information about the show. Odd Squad is a funny and educational series from PBS Kids which presents a secret organization run by kids. The main agents are two kids who are solving cases using their maths skills. In the first season the main agents are Olive and Otto. They are best friends so they make a great team, they never fail to complete a mission. In the organization they have more agents that help them in the mission, for example scientists, tube runners, security officers and so on. There is a big organization which is secret so they must keep it that way because the world is a secure place with their help. Olive and Otto have a lot of missions every day so they have to be very well trained if they want to succeed, to save the city or even the world. The leader of the organization is Mrs O and the agents are traveling to the scene where the mission takes place with some tubes. The agents have to think at some mathematical solutions for the problems in order to complete the mission. I am sure you enjoy this exciting game where you can learn a lot of useful things about maths and you will laugh a lot with your heroes because they are really funny. 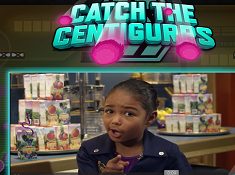 Agent Olive is a veteran in the odd squad and she has to train the rookie agent Otto. She is a patient girl so she successfully teach Otto all he has to know, even though at the beginning he was a total mess. A few years ago Olive had another partner called Todd, who became a villain. He wanted to destroy the organization using a pie disaster. Olive saved the organization and she stopped Todd but now she is afraid of pies. She is always calm and serious but she knows to make a joke from time to time with her new friends, Otto. Otto is the new agent and Olive`s new partner. He always makes joke and he is really funny, but he can be annoying for Olive from time to time. He has proven his worth as an agent several times, discovering the method to solve the problem even though sometimes Olive was not there. 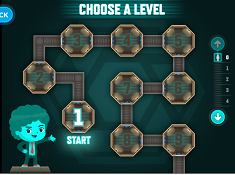 A lot of games from Odd Squad games category are easier at the beginning, in the first levels but you do not have to hurry to underestimate their difficulty because as you progress in higher levels things are getting pretty difficult so you have to be ready for anything.